Healthcare’s administrative and regulatory headaches are working against the private doctor’s office. More physicians are choosing to ditch their independent practices for hospital employment as managing a private office becomes more complex in today’s regulatory healthcare environment, local experts say. 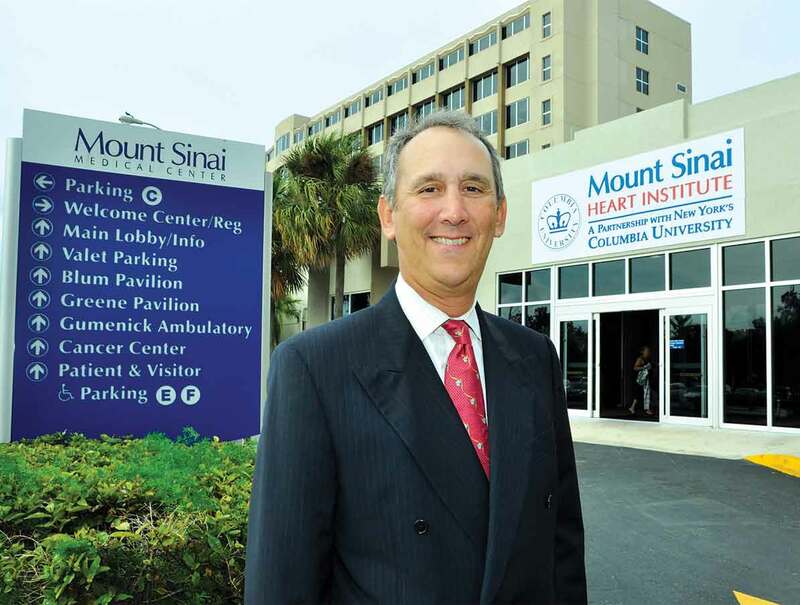 “It’s very difficult for a physician to be able to manage all the complexities of operating a practice and still be able to practice medicine,” said Steven Sonenreich, president and CEO of Mount Sinai Medical Center. Administrative duties today involve complying with patient privacy laws and the Affordable Care Act, keeping up with electronic health records, and switching over to a new, more detailed diagnostic coding system – the 10th revision of the International Classification of Diseases (ICD10). Such responsibilities are burdening private doctors, removing them from the actual practice of medicine. While some physicians are choosing to sell their practice and retire, others become employees of the hospital system. “Preparation is key” when completing a sale, which physicians can receive a good amount of money for, said Whitney Schiffer, an accountant with Berkowitz Pollack Brant. Ms. Schiffer assists physicians preparing to sell or leave their practices behind. She advises them to have the practice’s financial records in order, to review account balances, to tighten internal controls and to make sure proper policies and procedures are in place before considering a sale to a hospital network. A practice will be evaluated based on its financial operations as well as its overall performance before it’s given a price tag, she said. Offices are suggested to compile data comparing the number of patient visits the practice handles per year and its insurer reimbursements to similar practices in the same market. While the situation might be a win-win for doctors, who are relieved from management duties and given a hospital salary, the practice’s former staff and patients may not reap the same benefits. When sold, an office may hang a new sign at its door notifying patients the practice is now run by a hospital, said Linda Quick, president of the South Florida Hospital & Healthcare Association. “The hospital may charge more than a doctor used to charge for the visit because a piece of the revenue goes back to the parent organization to support its overall overhead [costs],” Ms. Quick said. This means a patient who paid “x” amount for a certain procedure may have to pay “y” amount on their next visit for the same procedure once the practice is under hospital ownership. Today, Ms. Quick said, hospitals aren’t as interested in buying and managing a private practice. Instead they’re encouraging physicians to give up the practice altogether and become hospital employees. In this case, the staff may follow the physician to the hospital, if negotiations allow. But in other cases, employees responsible for services such as processing claims and scheduling appointments at the private office may lose their jobs to the hospital, Ms. Quick said. On a positive note, she did point to a benefit of the shift from private practice to hospital network: the integration between the institutions’ objectives and financial interests. “If the hospital’s goal is to prevent readmissions, so is the doctor’s goal,” she said. Although the number of private practices continues slipping, the doctor’s office won’t disappear entirely, said Mount Sinai’s Mr. Sonenreich. There are specialties like cosmetic surgery, for example, that lend themselves better to an independent office. Don’t drink the hospital Kool-Aid. The trend of hospitals turning doctors into employees is a cancer in communities across America. Yes, the industry is such that doctors, the majority of whom would rather stay independent, often feel they don’t have a choice. And that’s a shame. As the executive director of the Association of Independent Doctors, an organization that works to help doctors stay independent, I see first hand the damage this trend is having on patients, doctors, communities and America. When hospitals buy doctors, and turn them into employees, costs sky rocket as patients get slapped with undisclosed “facility fees” that add no value. Access worsens because employed doctors are strongly encouraged to refer to other employed doctors who may not be the “best.” Care worsens because the doctor’s allegiance shifts from their patient to their employer, who compensates that doctor based on performance (number of admissions, procedures and referrals). Communities suffer financial harm because, if the hospital buying the practice is a nonprofit, the medical practice that once paid property taxes no longer does. All those taxes come off the tax rolls, and the other taxpayers make up the shortfall. The negative consequences go far beyond the lost jobs of the dedicated staff that once helped run these small business. We all pay, through higher premiums, and higher taxes (because this trend drives up Medicare costs, too). Make no mistake, hospitals are doing this not to integrate care, but to gouge their citizens. Consumers need to know, and then vote with their feet by selecting only independent doctors for their care.